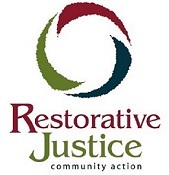 Restorative Justice processes are different than the cultural understanding of crime and punishment. Observing a conference will offer you the opportunity to see this process in action. In the conference you will observe the role of community member and facilitator, and how the process works. Once you have observed your first conference you will meet with staff to discuss your interests. We hold about 7 to 10 adult conferences per month, located throughout the Twin Cities. To schedule your observation, send an email to the Coordinator, or call into the office (612)746-0780.